The Board of Directors of Sharondale would like to thank your and your company for a job well done. The promptness and craftsmanship were greatly appreciated. Thank you for being so professional. It was a great pleasure to do business with you. The purpose of this letter is to thank you. We had our old swimming pool replastered by your company. Beginning with the Quote for same, Kevin Freeman is one of the nicest guys around. Not only is he professional and knowledgeable, he is kind, caring and attentive to all of the details that were required. Next, we have Mr. George Middlesteader. He is another great employee of yours. These guys explained EVERYTHING to me in details that I could actually understand. They gave me suggestions and improvements that suited our needs exactly. Then there’s Leo. I don’t know his last name, but he was here today (after all work was completed), and patiently explained how all of the new equipment worked. All of your employees were considerate and more than generous with their time to keep me posted on all aspects of the work in progress.. I cannot tell you how happy we are at the professionalism, and how courteous that everyone that I dealt with at Kerber was! Even being considerate enough to let me know EXACTLY when they would be here and what they would be accomplishing. I have two dogs that use the backyard, so the arrival time was quite important to me to assure their safety. Thank you so much for a wonderful experience, with such dramatic and beautiful work done by your team. I will highly recommend Kerber to anyone that needs any and all pool needs. Easy to talk communicate with! I want to commend you and your staff for the fast and courteous service I experienced during the renovation of my pool. So many times consumers find themselves playing tag with companies they hire to do work. As a result, a job that should take less than a month is delayed by three or four months. Everyone I talked with at your company was pleasant and helpful. The staff is full of great ideas! It is with great pleasure that I write this letter to commend Jeff Kerber Pool Plastering, Inc. for the wonderful job done on my property. First let me start by commenting on my first impression of your company and your salesman. His ideas were great. He was friendly, courteous and extremely helpful throughout the whole process. He stayed involved, kept us informed and was always there to answer our questions, promptly and truthfully. He most certainly is a great asset to the company. With regard to the rest of your crew, we cannot say enough to express how pleased we are with their work. Jorge and his crew were friendly, prompt, and very clean. They started and completed the job in the manner and time quoted, three weeks. However, what impressed us most was the ease with which we could work with them. They listened to any ideas, and made whatever minor adjustments needed. They had great ideas, and when our tile we requested was not available at time of installation, they were able to find a substitute that was even better than the one we had chosen. Please thank them for their outstanding work and tell them how proud we are to show off their work to our family, neighbors and friends. This was a most rewarding experience for us and I hope you will not hesitate to call upon us to show off our yard. 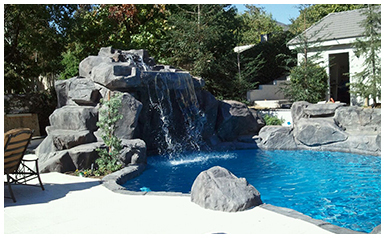 Now that our pool and spa remodeling has been completed, we wanted to advise you, in writing, how pleased we are with the entire operation. From the initial sales contact through the demolition and reconstruction and continuous coordination with your service people, we found all personnel very professional, highly competent and always willing to take the extra step to insure a happy customer. 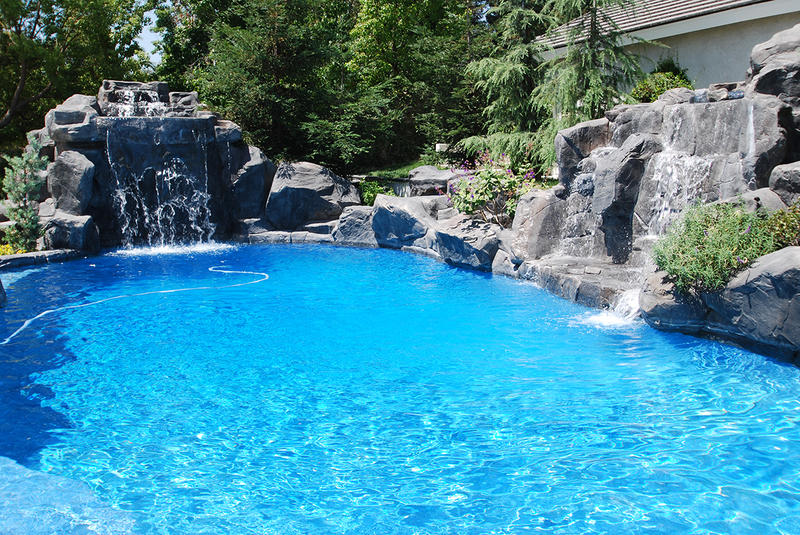 We would highly recommend your company to anyone looking to remodel their pool. Great employees made it easy to work with! 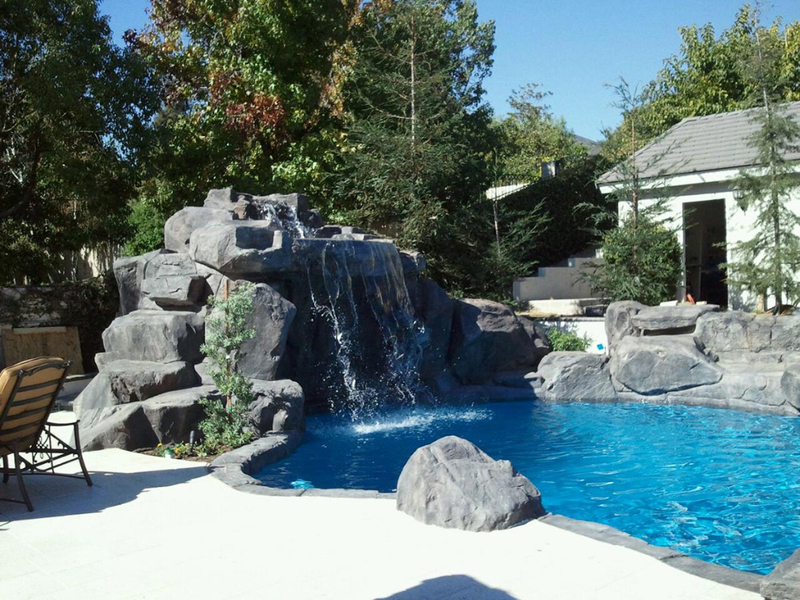 Last year at about this time my husband and I began thinking about remodeling our home and pool. 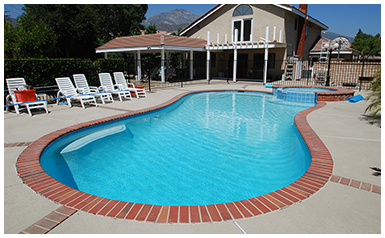 After interviewing numerous contractors and companies for the pool area we decided upon Kerber and commenced with the process in September 2005. Over the course of the next few months we had several less than wonderful experiences. The coping had to be poured twice because the first pour color was incorrect. Then the deck was poured and it was a disaster. The color was wrong, the deck was cracked with big patches of black coming through, the pour stopped short of the house in many areas leaving a gap, the corners were empty holes and the drainage – well the deck wouldn’t drain. Up to this point I had been dealing with several of your employees all of whom attempted to help me. I must say that although I was frustrated and unhappy all of the people I spoke to sincerely wanted to help but there were too many different people and too little communication and ultimately I felt there was no one person who would be responsible and make the job happen correctly. Mike responded immediately whenever I had a question or issue, he always did everything he said he would and he went above and beyond in rectifying past mistakes. I am sure I am not the first client to sing his praises and he deserves all the accolades he receives. Our pool is beautiful and Sean and I are convinced that Mike is responsible for our happy outcome. We wanted you to know what a valuable asset Mike was on our project. We are writing to let you know how thrilled we are with our pool. The process of working with your company was seamless from beginning to end. We were extremely impressed by your team. Bobby Malins was beyond helpful. He was professional, attentive, and knowledgeable. Bobby made us feel comfortable throughout every stage of the process. The rest of the Jeff Kerber Pool Plastering team was fantastic as well. Your employees were always punctual and respectful, and their work was meticulous. 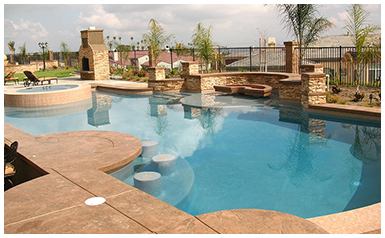 From the layout and design of the pool, to the quality of the materials utilized, to the functionality of all the features…what your company produced impressed us on all levels. 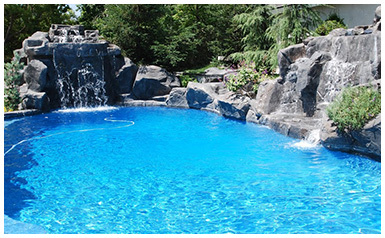 as a result, we have already recommended Jeff Kerber Pool Plastering to a number of our friends. Jeff Kerber re-did my pool and I love it! 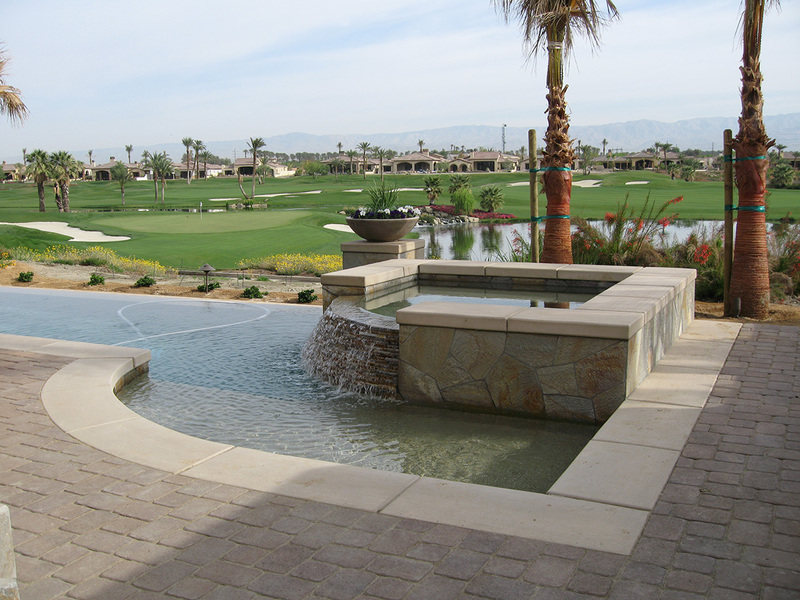 In the Summer of 2003, your company re-plastered the pool at my first home in Palm Springs. 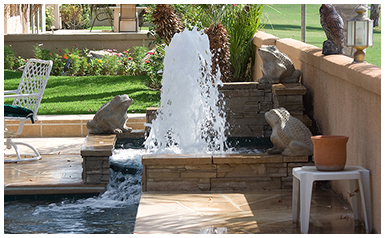 The following year, when it came time to completely re-do the pool at my second Palm Springs home, I chose Jeff Kerber to complete the project. The pool was stripped to the concrete liner and re-built, including plumbing, plaster, tiles, concrete decking, etc. The completed project was very nice. Shortly thereafter, the water line ties began to pop off and the patio to crack. Your company came to replace the tiles, and this winter when I contacted Jeff Kerber again to repair the problems, the fallen tiles and the patio cracks were both numerous and, in the case of some of the cracks, large. The crew who came to make the repairs took photographs and Mike Yeakel came to inspect the problems. Working with Mike was very easy and he was extremely responsive to my concerns. He acknowledged that there was some greater problem causing the cracks and fallen tiles and arranged for the patio and tiles to be replaced. His crews were courteous and timely and completed the job with minimal disruption to my property. The pool has been filled an it looks like and is the pool I had originally hired Jeff Kerber to re-do. I could not be happier with the finished product. Thank you very much for standing behind your product and workmanship. I have always recommended your company and now do so with even more enthusiasm. Thank you again for providing a quality product your customers can rely on. 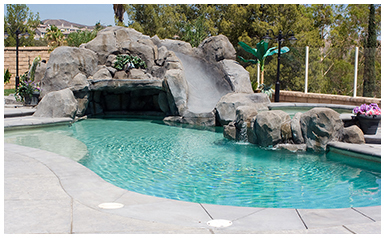 Our decision to go with Jeff Kerber Pool Plastering, Inc. was both objective and subjective. We entertained various options and solicited several quotes. We also had several recommendations and checked references (BBB and the CA Contractor License Board). The pool was drained on 9/21/10, work started on 9/22/10, and we started refilling the pool on 9/28/10. Start-up by Kerber commenced on 9/30/10. During this period of time there were various crews on site to do what needed to be done for each stage. The demo, tile, and plaster crews (supervised by Juan) were excellent. Scheduling of the crews was “right on”. Travis and his partner mad the equipment area look great (hard to do) and did an excellent job. I couldn’t be more pleased with the start up crew of Francisco and Francisco. They took the time to explain the new equipment and did an excellent job in setting the pool up and turning it over. 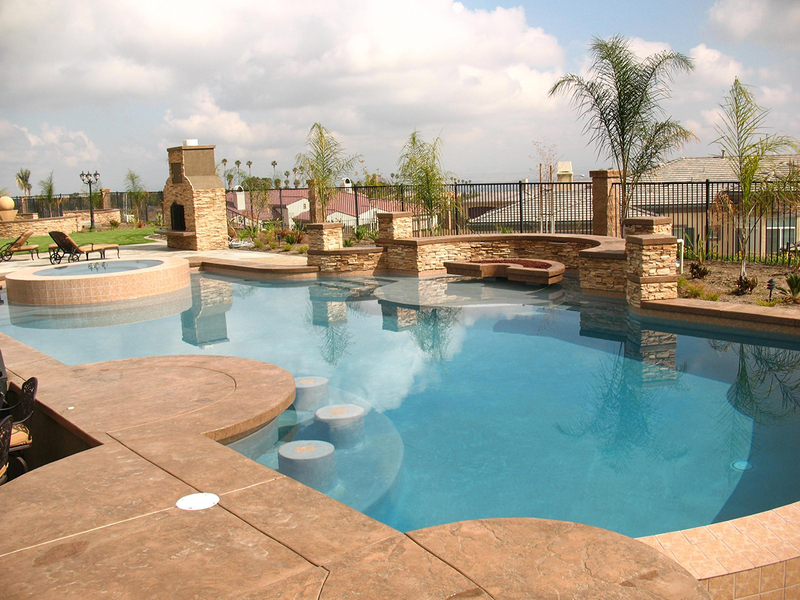 I just wanted to thank you for the beautiful job you did on our pool here in Chino Hills. Your workers were timely, neat, and polite. Ben Morales was just fantastic! He followed through on all of the changes and additions that went through during the job. He went as far as dropping a tile mosaic off at my home because, he thought it was what I was looking for and un-able to find! He was right, I loved it and added it to the center of my pool and it looks great! We would recommend you to our friends and family. Your team helped fix my problem! First allow me to thank you for the fine quality of work done by your employees during the re-plastering, new equipment installation and new tile on my 30 year old swimming pool and spa. With each team I saw a demonstrated effort to clean up upon completion of each task. The workers were polite and attempted to answers all questions on the spot or refer me back to Ms. Tatamika Hunter for clarification or referral to the correct department. Ms. Hunter seems to take a personal interest in each customer with whom she communicates. I felt as though I had a friend working on my behalf at your organization. She is to be commended. As a result of the quality of work done in such a timely manner I will be comfortable in referring my friends to your company when needed. At the very end of the job I realized I was losing about 1 1/2 inches of water every 24 hours from the pool. Your crews were not successful in finding the leak and suggested that I call the Lek Detection Service which I did. They not only found the hole that was leaking, they made an on the spot repair. I submitted the bill to your company and within a week, they had sent me a check for the callout and repair done by the leak detection company. Your personnel’s rapid response was very professional and speaks well of your company standards of performance. I wanted to thank you personally for the matter in which the entire process was handled by your various crews. It would be nice if each crew had at least one English speaking person so that we could more effectively communicate. However in each instance, we worked out any misunderstanding without too much trouble. Please, take pride in what your company represents in today’s business world. You and your people are a breath of fresh air. They helped with our multi-pool project! 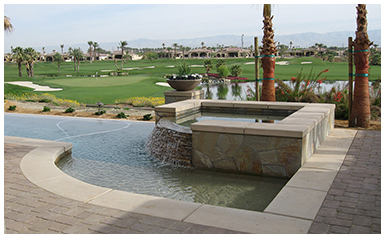 Jeff Kerber Pools did the plastering of eight pools and ten spas including splitting the drains and replacing the depth markers and needed tile in 2010 and six pools and six spas in 2011 for the Chaparral Association and will be scheduling in 2012 to plaster the remaining pools. 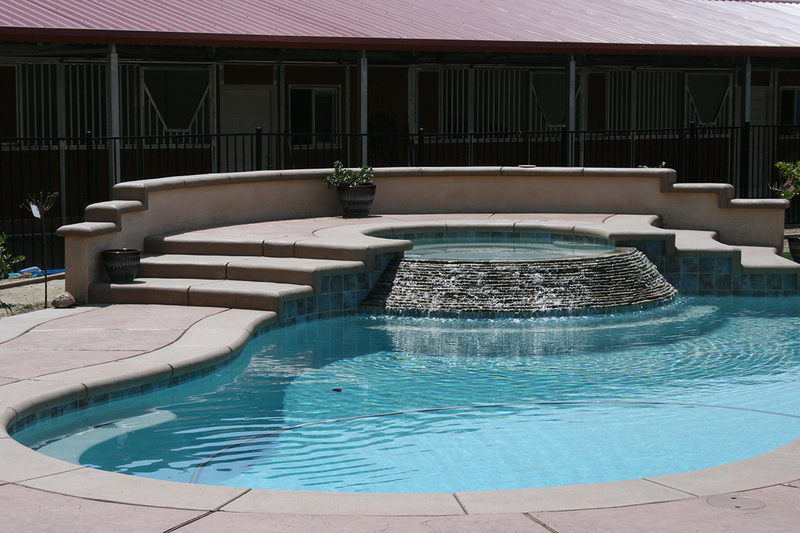 Chaparral has twenty one pools and spas within the community. The Chaparral Board of Directors, Maintenance Committee and I found their work to be impeccable. The job sites were kept clean and organized and there was no disruption to our homeowners. They took care of all the scheduling with the Department of Health on obtaining permits and signing off on their work. I was extremely impressed with the constant communication I had with them during this project so that I could keep our Board of Directors, Maintenance Committee and Homeowners informed. Chaparral went out to bid to seven different companies and found Jeff Kerber Pools references and the cost of this project exceeded any of the companies interviewed. Plastering on my pool was just completed yesterday and am now filling with water. It is beyond my expectations and can hardly wait to begin using. The workers were very polite and knowledgeable. The yard was left clean and even the street was cleaned. Would recommend your company highly. Paid perfect attention to details! 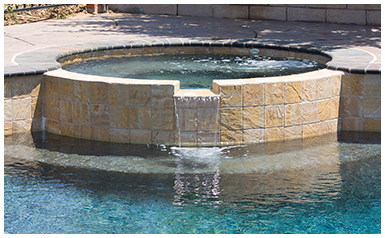 As you may recall, I wrote you a letter regarding some issues that my husband and I had on our pool coping and tile. Not only did you call us, but sent a great and experienced representative to work with us. He had the problem coping removed and new coping replaced along with some of the pool tile. The new crew that worked on the project (Abraham) did a wonderful job and both his experience and that of the entire crew definitely shows. They did not leave behind any detail that wasn’t addressed. I’m writing you this letter to express how much I appreciate dealing with Sol from your Customer Service Dept. 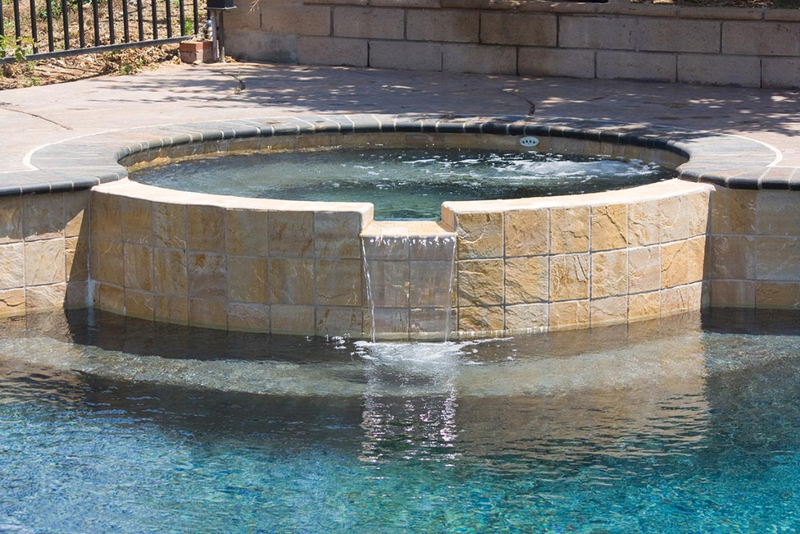 She had made several calls to me and communicated with helping me every step of the way to help come to a solution to the pending problem with my Jacuzzi. She made sure that after setting us an appointment that she followed up to confirm time and date of the appointment. She also followed up with the completion of the pending work order. Once all parties had agreed that the work was complete and to everyone’s satisfaction she made another follow up call to double check to make sure I was happy. Sol has very good phone skills and excellent customer service, working with her made the closing of our transaction very smooth. Sol is definitely an asset to Jeff Kerber’s staff and should be acknowledged as such. If you ever need anyone to recommend your company, I would be happy to do so. I was very pleased with the outcome & how responsive the entire team of Kerber people are. We have appreciated the efficiency and quality of work that you have provided in restoring our pool. 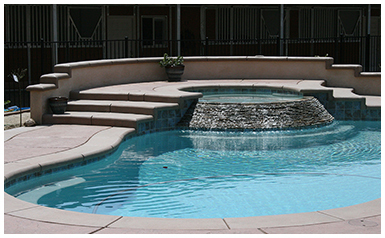 Given your excellent service, we plan to recommend Jeff Kerber Pool Plastering to our friends. Please pass on our compliments to your associates. The best on every level! Thank you Jeff Kerber Pool Plastering! We are so impressed with the work so far. The crews are some of the hardest working men I’ve seen. They are courteous and professional. Hector will not accept less than perfection. Thomas and the concrete crew have gone above and beyond what we expected. Your company has done a superb job at every level. Many, many thank yous for making everything right with our pool project. You and your company are the perfect example of how a company should regard their customers. You are A+ on my list. You did an excellent job on my patio deck. Herman, Mike & Martin were available for all my concerns. They are a real asset to your company… and so are the guys that worked here everyday. Not only are they hard workers, excellent at what they do, but very respectful, too! © Jeff Kerber Pool Plastering, Inc.